With having to look after the house and kids and going to work finding time to care for the garden is tough. 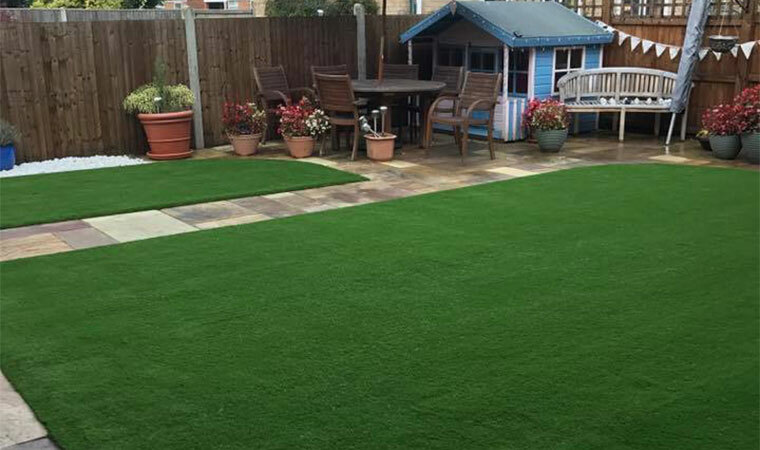 In these circumstances artificial grass can be a real blessing. This customer in Paddock Wood TN12, Kent certainly agrees! Parts of this garden were damp and the ground very soft, so we had do some serious digging to reach solid ground. We built the foundations back up using 6 tonnes of Type 1 and 2 tonnes of granno. This gave us a rock hard, free draining base on which we could lay the grass. Timber fixings were use all around the perimeter and finally the Meadow grass was fitted. 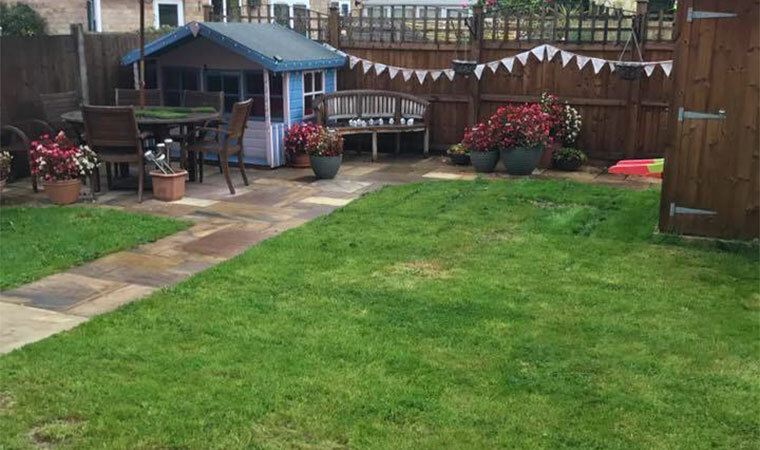 This customer now had a low maintenance, stress free garden the whole family could enjoy. A real gem of a garden in the heart of Biggin Hill.